All a load of rubbish really, although dealing with rubbish is becoming big business. There seems to be more and more to get rid of, tonnes and tonnes of hassle, and costs ever-increase to arrange as we turn more green and conscious of how to efficiently remove rubbish. It’s actually a great career option I think – to become specialist in an area of refuse collection and the whole recycling/green niche can only get better with a need for specialists in this in the future. 1. Remember metal means money. Anything that is made of metal can be sold for scrap metal and recycled, even if it’s still in its original format with non-metal parts. You can search your local scrap dealer and deliver, or have them even come to your door to collect, whether it’s your local man-in-a-van who drives round actively looking for goods, or you arrange online through websites such as www.pickupmyscrapmetal.com. The general gist is that you then simply leave outside your house on the drive or even pavement and they’ll pick up, ideally this being as organised as possible with vetted-collectors and agreed-times. 2. Communicate with the council. As well as the bog standard bin collection, then check out what additional collections they can make, sometimes for a small additional charge particularly for specialist items like fridges. There’s also the local tips to drop off yourself, you’ll just need to check the times which reduce over the winter period and make sure different types of refuse go in the right containers. 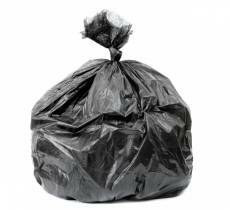 Also, just watch the quantity of refuse, and whether by the sheer volume or type it falls within business or trade refuse which generally speaking will mean it needs paying for. If you’re a community group then there may be reductions though, for example for charities using business services at Walsall Council trade waste. 3. Skip alternatives – this is an emerging market, with a great local one being Clearobee. They will actually make a special collection to take away rather than using a traditional skip which can be costly and hassle to arrange and locate. They can be cheaper than skips, with any recyclable parts now being big and profitable business. One way to practically help this along is to take a photo of the rubbish needing collection and sending on an email which can help gauge what they need to bring to collect. 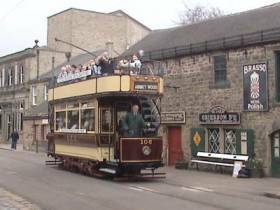 Last week I visited the tramway museum in a village called Crich in Derbyshire where there are old trams not only on show in a museum and workshop but working on tram lines. These date back from the start of the last century therefore being over 50 years old and classics in the eyes of those who remember when they were the main means of public transport, or younger kids who see them as antiques from yester-year (it was half term so quite a few kids and families). There’s an interesting article in the Peterborough Telegraph on how you should account for any website development costs in your business accounts so they are correctly taxed. To date a new website has just been perceived as another form of advertising/marketing or IT cost to a business like any other costs such as newspaper adverts or servers, wheres now the HMRC are seeing them as a whole new entity.